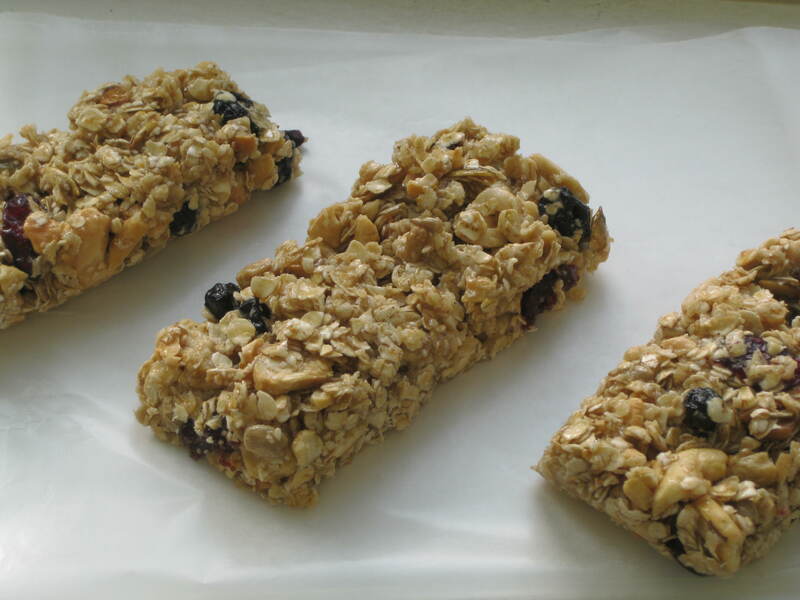 I eat a lot of granola bars because they are the perfect portable snack and help me recharge after workouts. Yes, I do workout. You see how often I make dessert, I would be a complete tub of lard if I didn’t do something in the gym! 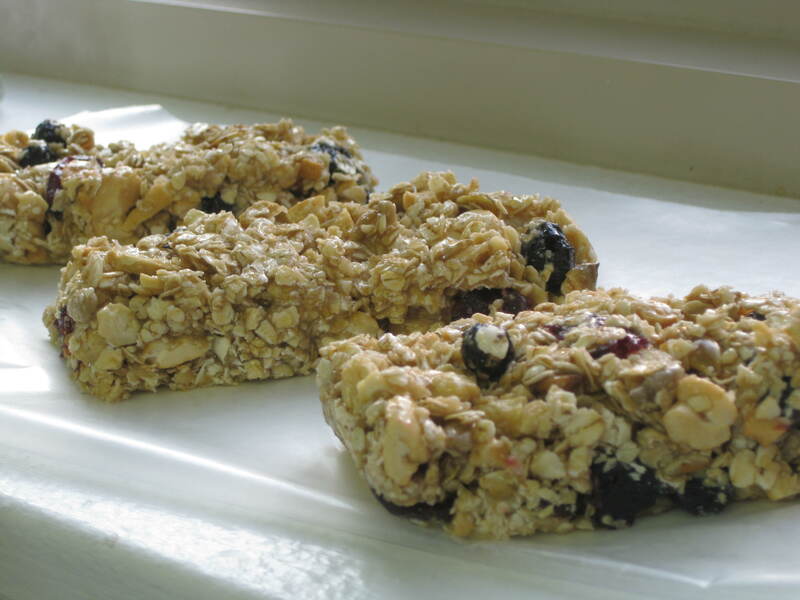 Toasty cashews and tart blueberries make the perfect combo in these DIY granola bars. Plus the use of all natural sweeteners like honey and brown sugar (i.e. no corn syrup) is a healthy bonus. Slice into bars or bites, it’s up to you! Heat oven to 350°. Line a baking sheet with tinfoil and spread the oats, seeds and cashews onto it in an even layer. Bake for 10-15 minutes, stirring a couple times, until the mixture becomes toasty and fragrant. Remove and let cool. In a small saucepan, melt the honey, brown sugar and butter together. Cook at a low boil and stir until sugar is dissolved, about 2-3 minutes. In a medium bowl, toss together the oat mixture, honey mixture and dried blueberries, tossing until the mixture is well coated. Grease a 9×9 inch square baking pan with butter and press the mixture into the pan. While in the pan, slice into 8 bars, cover and refrigerate for 2 hours. 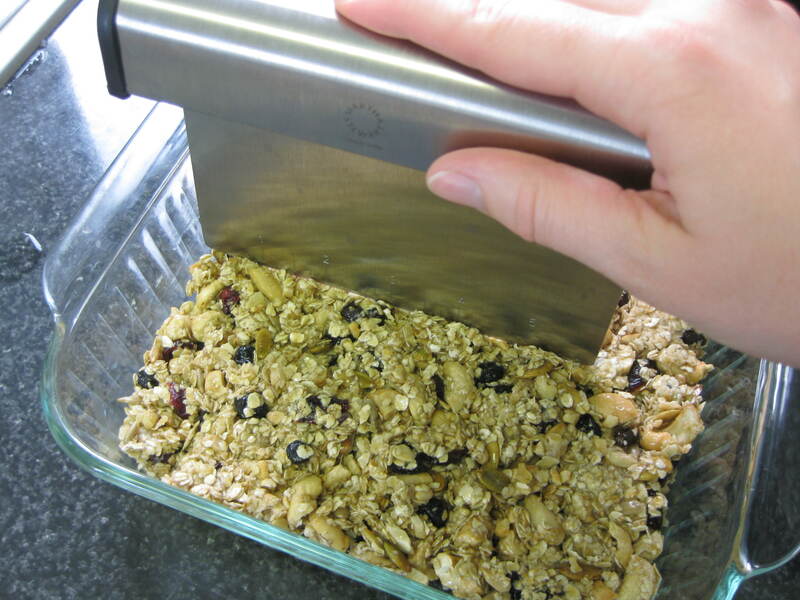 Once the granola has set, remove the bars from the pan and store in an airtight container in a cool, dry place. You may wish to individually wrap in plastic wrap for a grab-and-go snack! *Note: I used this amount of honey, but found the bars to be a little sweet for my liking. I would recommend cutting the honey down to 1/4 cup and see what happens. Daily Question: How do you like to refuel after a workout? This entry was posted in snacks and tagged blueberry, cashew, DIY, granola bars, healthy, homemade, oats, post workout, snacks. Bookmark the permalink. you are an inspiration to us all. 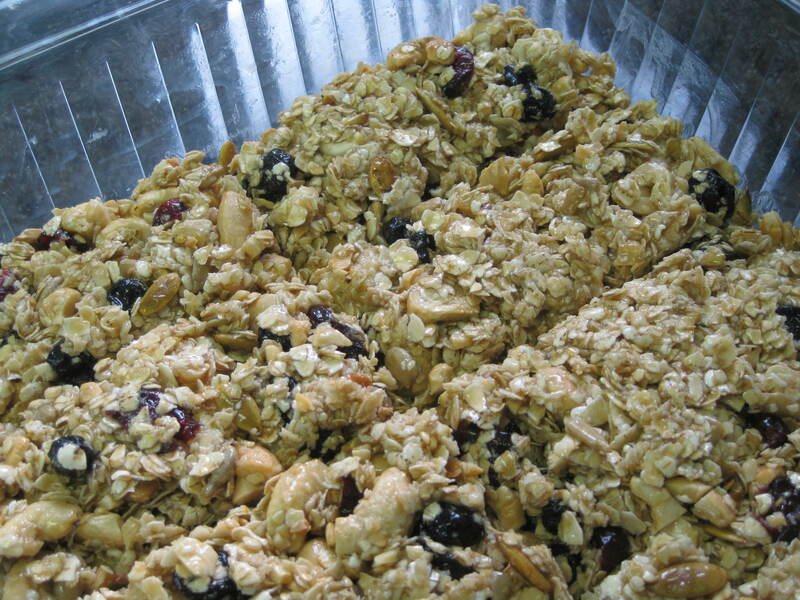 homemade granola bars?!? !